According to recent estimates, just less than 3% of Americans have moderate-to-severe valvular heart disease (VHD), a condition that increases in prevalence with age. 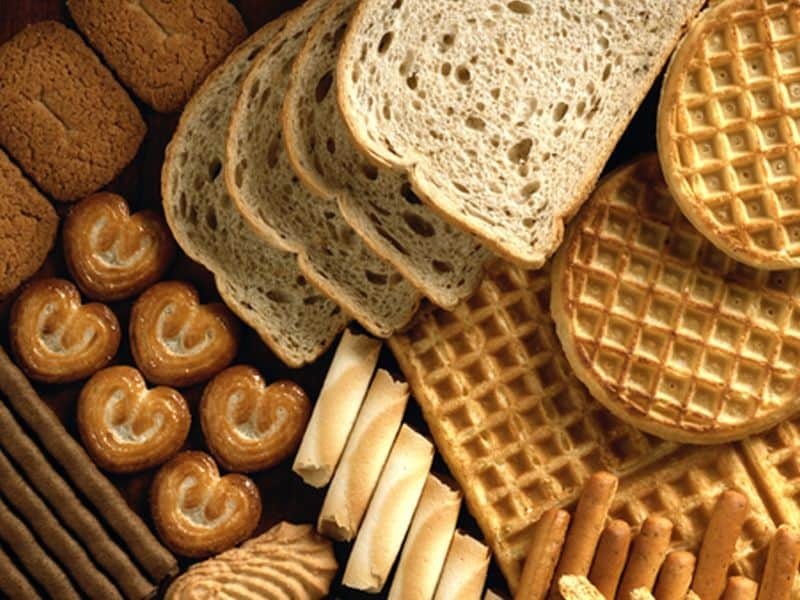 The disease affects between 4% and 9% of those aged 65 to 75 and 12% to 13% of those aged 75 and older. Many of these patients require surgical or interventional procedures, but even with these treatments, the overall survival rates associated with VHD are lower than expected. The risk of adverse outcomes due to VHD is high because of limited options for restoring normal valve function and because of failures to intervene at the optimal time point in the disease course. 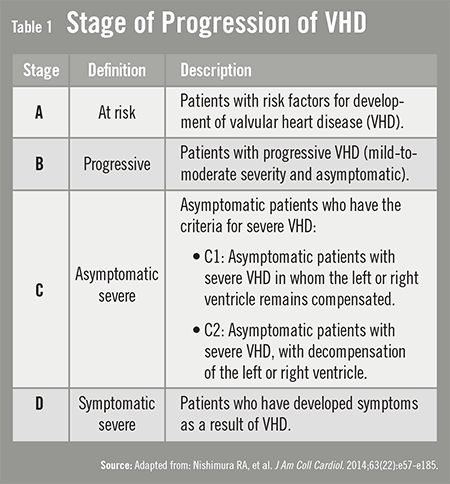 The 2014 guidelines include restructured definitions of VHD severity into four classifications—at risk, progressive, asymptomatic severe, and symptomatic severe (Table 1). “These categories were created to help clinicians determine the optimal timing of interventions,” Dr. Sorajja says. The stages consider the degree of valve narrowing or leakage and the presence of symptoms. They also consider the response of the left and right ventricle to valve lesions and any changes in heart rhythm. Previous guidelines provided limited information on strategies to approach risk assessment. The 2014 update provides assistance with risk assessments for all patients being considered for intervention. The guidelines recommend discussing with patients several important factors when determining the optimal therapy. These include procedure-specific impediments, major organ system compromise, comorbidities, patient frailty, and predicted risk of mortality models, along with more specific risks and benefits. For the first time, the 2014 ACC/AHA guidelines provide a more complex evaluation of interventional risk and indications for newer catheter-based therapies, such as transcatheter aortic valve replace-ment (TAVR). “The introduction of TAVR and other catheter-based therapies has been an important advance but has also made VHD management increasingly complex,” Dr. Sorajja says. To help clinicians discern the risks and benefits of these treatments, the guideline includes recommendations on the timing of these interventions (Table 2). 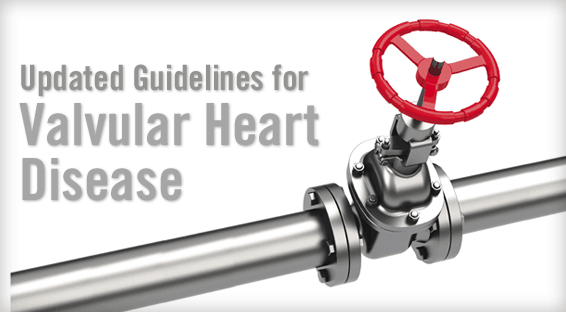 The ACC/AHA guidelines also include a recommendation for the use of Heart Valve Teams and Heart Valve Centers of Excellence. “These programs allow for multidisciplinary care of complex patients with VHD,” says Dr. Sorajja. The guideline also provides a lower threshold for surgery to include more patients with asymptomatic severe valve disease. Properly selected patients with severe asymptomatic aortic stenosis and severe asymptomatic mitral regurgitation can now be considered for intervention. Candidacy will depend, however, on other factors, such as operative mortality and the ability to achieve a durable valve repair. Importantly, the guidelines include formatting enhancements that enable it to be used at the point of care. Decision pathway diagrams and several summary tables have been developed. 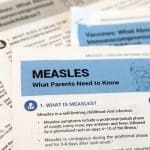 “Efforts have been made to make these guidelines a living document in that they allow for updates and additions based on the publication of new evidence,” Dr. Sorajja says. This approach to developing guidelines may revolutionize the clinical impact of these recommendations. It can ensure that they are current and allow for seamless integration with electronic medical record systems. Nishimura RA, Otto CM, Bonow RO, et al. 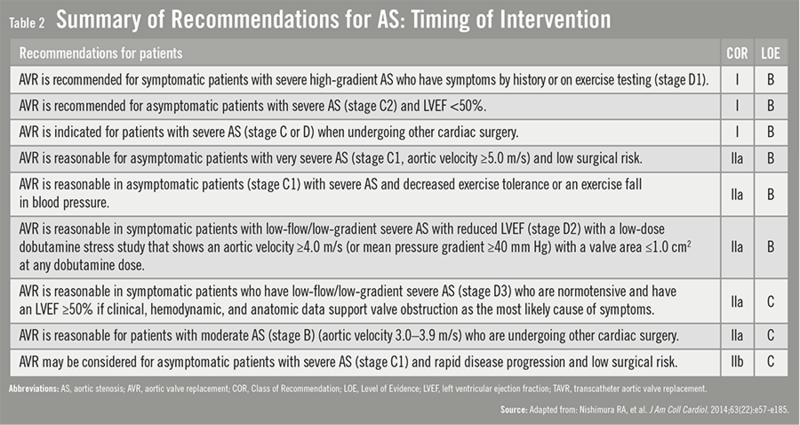 2014 AHA/ACC guideline for the management of patients with valvular heart disease. J Am Coll Cardiol. 2014 Mar 3 [Epub ahead of print]. Available at: http://content.onlinejacc.org/article.aspx?articleid=1838843. Bonow RO, Carabello BA, Chatterjee K, et al. 2008 focused update incorporated into the ACC/AHA 2006 guidelines for the management of patients with valvular heart disease: a report of the American College of Cardiology/American Heart Association Task Force on Practice Guidelines (Writing Committee to revise the 1998 guidelines for the management of patients with valvular heart disease). J Am Coll Cardiol. 2008;52:e1-e142. Zoghbi WA, Enriquez-Sarano M, Foster E, et al. Recommendations for evaluation of the severity of native valvular regurgitation with two-dimensional and Doppler echocardiography. J Am Soc Echocardiogr. 2003;16:777-802. Fuster V, Ryden LE, Cannom DS, et al. ACC/AHA/ESC 2006 guidelines for the management of patients with atrial fibrillation–executive summary: a report of the American College of Cardiology/American Heart Association Task Force on Practice Guidelines and the European Society of Cardiology Committee for Practice Guidelines (Writing Committee to Revise the 2001 Guidelines for the Management of Patients With Atrial Fibrillation). J Am Coll Cardiol. 2006;48:854-906. Warnes CA, Williams RG, Bashore TM, et al. ACC/AHA 2008 guidelines for the management of adults with congenital heart disease: a report of the American College of Cardiology/American Heart Association Task Force on Practice Guidelines (Writing Committee to Develop Guidelines on the Management of Adults With Congenital Heart Disease). Developed in Collaboration With the American Society of Echocardiography, Heart Rhythm Society, International Society for Adult Congenital Heart Disease, Society for Cardiovascular Angiography and Interventions, and Society of Thoracic Surgeons. J Am Coll Cardiol. 2008;52:e143-e263. Gersh BJ, Maron BJ, Bonow RO, et al. 2011 ACCF/AHA guideline for the diagnosis and treatment of hypertrophic cardiomyopathy: a report of the American College of Cardiology Foundation/American Heart Association Task Force on Practice Guidelines. Developed in collaboration with the American Association for Thoracic Surgery, American Society of Echocardiography, American Society of Nuclear Cardiology, Heart Failure Society of America, Heart Rhythm Society, Society for Cardiovascular Angiography and Interventions, and Society of Thoracic Surgeons. J Am Coll Cardiol. 2011;58:e212-e260. Paul Sorajja, MD, FACC, FAHA, FSCAI, has indicated to Physician’s Weekly that he has or has had no financial interests to report.